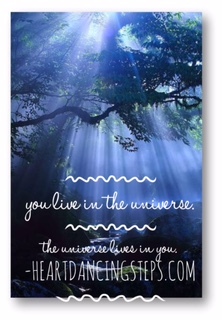 You live in the Universe. The Universe lives in you. Imagine the ramifications of that statement. It means that we can co-create with the Universe. What we imagine and perceive from our unique perspective is translated by the Universe into form. That is incredibly empowering! If you change the way you view the Universe, the Universe itself spontaneously reflects that change back to you. The Universe is not separate from your perception. What that means, friends, is that what you perceive will be directly reflected back to you. If you don’t like what you perceive in your life — it is up to you to change your perception. Just sit with those two sentences for a moment and see if they don’t resonate with truth. They certainly did for me. Let’s take this a step further. If you look at your life as it exists today and see things that do not make you happy, can you change your perception about them? The answer is yes, if you believe you can make that change. If you don’t believe you can, then you can’t. Which brings up another question, one that can lead to deliberate creation. Aren’t your beliefs just part of your perception? What are beliefs? A collection of thoughts bundled around a theme. Your beliefs are formed from your experiences, so that when you encounter a similar situation, you will recognize it and have a touch point to interpret it. Every time something triggers that belief, you mind trots it out to filter your present reality. And guess what – you see what you believe. That is why people perceive the same event differently. Their beliefs form a filter that shifts out the non-corroborating data that does not support the belief. The belief filter allows the supporting bits of data to come through and the underlying belief is “proven” once again. If you believe that money is hard to come by, it will be. If you believe that you are “no good at love,” you won’t be. If you believe that you are miserable in your job, you will be, because your perception will only see the people and things that support that belief. See how this works? Look at the areas of your life where you are less than happy. List those things that you believe are the cause of the problem. Then take a step back and ask yourself, “Is there any other way I can look at this?” See if you can’t create at least 3-5 new, empowering views of that item and notice how you feel as you consider the new possibilities. Continue until you have worked your way through your list. The bottom line is that YOU decide what you believe. You choose how you feel based on your beliefs. And the Universe will reflect your choices back to you. Why not choose happiness over despair; joy over sadness; abundance more than limitation? Whatever you choose, that is what you will see. When you make that shift and begin to notice how your beliefs impact your perception, which then filters your world, it is life changing! And those shifts in perception – from pain and anger to joy and happiness – are all steps in the Heart Dance! Welcome to another step in the Heart Dance! Some wise person defined “fear” as “false evidence appearing real.” I have always felt that this definition did not go far enough to capture the depths that fear can take you away from your authentic self. Remember the last time you were immersed in fear? Was your heart racing and your breathing shallow? What was the most immediate thing on your mind – to get away or to make it stop? Fear is the ego’s way to convince you to play small. The ego is that judgmental part of your mind that tells you everything you did wrong or why you will never be enough. Fear is the ego’s tool and it cuts like a knife, right through your self-esteem. Fear can never destroy your authentic self. It just distracts you from it. Your authentic self is always there, resting and waiting for your acknowledgement and acceptance. Which you can only do when you are no longer fearful. When you glimpse the life you could have on the other side of fear – suddenly you become fearless. If you knew you were 100% supported in everything you did, wouldn’t that make a difference in your choices? When there is no fear, there is only freedom. To create a life you love. On February 12, 2015, I had the distinct privilege to appear on The Broadcast (KTXD-TV) to talk about Heart Dancing. The word is spreading about this book and movement – care to join me? P.S. 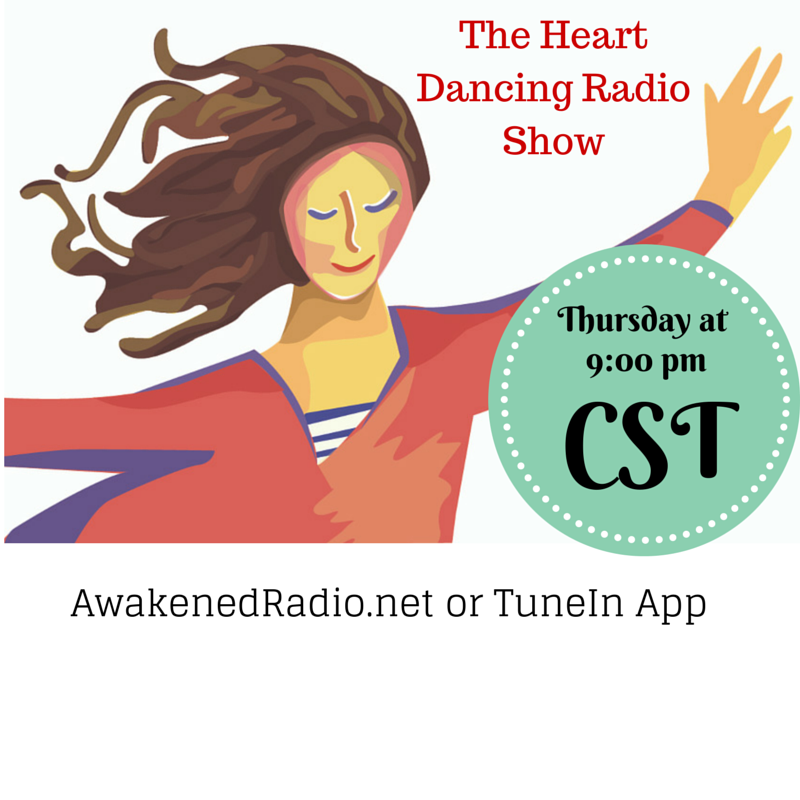 To learn more about Heart Dancing, go to www.HeartDancingNow.com and sign up for my email list. P.P.S. Or just go ahead and buy Heart Dancing from Amazon – you will learn how you create your life, thought by thought. Story Alchemy is also introduced and used by the characters to change their limiting stories from lead to gold. Learn the steps of the Heart Dance – and BE HAPPY! When you go on a cruise, you enter a different world – focused on fun, sun, and relaxation. Your digital connections are left behind and it’s only you and your fellow travelers sharing the experience. You can be as active or sedentary as you want; you can eat all day or not; you can even play sports, work out, or dance until the wee hours of the morning. Life is about what you choose to create. the navigator who ensures that the ship reaches it’s destination, even with 40 + mph cross winds. 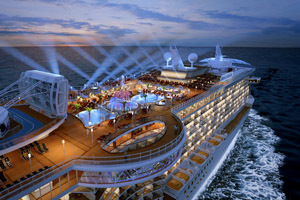 Life is like a cruise ship. The surface of your life may have waves or rough days; winds may blow you off course, but if you know your destination you can make adjustments and continue to move forward. And just like the ocean supports the ship, the Universe supports you. The ocean does not discriminate or treat some ships differently than others. The Universe is the same – it doesn’t matter whether you are wealthy or poor, young or old, male or female. The behind-the-scenes support is always there, no matter who you are or what ship you happen to be sailing on. We are going to dance on the waves of how to create your best life! Shadows are created by something blocking the light. 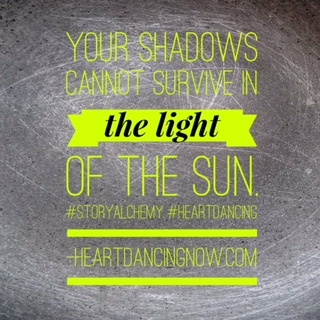 When you hold onto a painful story or refuse to acknowledge it, a shadow is created. Light cannot reach through the shadow, because your choice to “be right” or “be the victim” blocks it. You were meant to live in the light. To be happy. To be joyful. To be like a child and know that you are loved beyond measure. To forgive yourself and others, because you want to live in the light more than you want to be right. To be love and give love, freely and without any doubt of its existence or your worthiness. Dance in the light and the shadows disappear. 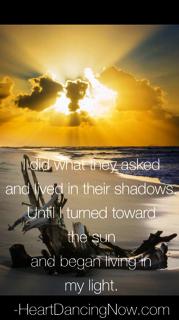 How do you dance in the light? Please visit HeartDancingNow.com or check out my latest book, Heart Dancing: A Story Alchemy Adventure. not the messages from your mind.